The LD models are perfect for Dermatology, Culinary, Industrial, and Scientific uses. 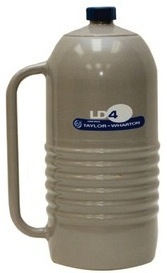 Every LD series dewar is backed by a 3 year warranty when purchased from L&G Cryogenics. * New Rugged Construction - Ribbed high strength aluminum body, magniformed necktube design, and more durable paint. * High Performance - Durable construction and advanced insulation materials assure high thermal efficiency. * Easy Operation - Lightweight snap-on cap and core lid and convenient larger handles. * Superior Vacuum - Super insulation provides maximum holding times. This model is perfect for precise pouring in small amounts of LN2. Great for laboratory work or scientific demonstrations in the classroom. 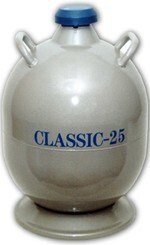 With a 5.6 inch wide opening, this model is often used for flash freezing a variety of items with ease and safety. From educational science experiments to industrial shrink fitting, the 5LD is the perfect tool for the job. 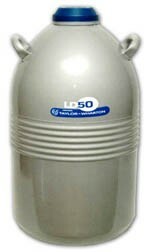 One of the most popular models for liquid nitrogen storage, the 10LD is just the right size for the doctor, teacher or professional who doesn't use liquid nitrogen everyday, but is still an important aspect of their business. 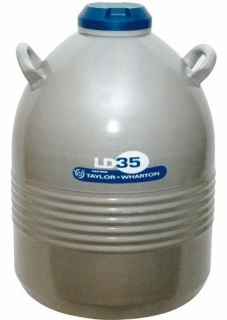 The 25 LD is the go-to model for liquid nitrogen storage. It's durable design and optimal storage capacity make it a best seller. This is how the early dewars were designed. The bottom gives a very convenient handle if you are needing to pour your liquid nitrogen. 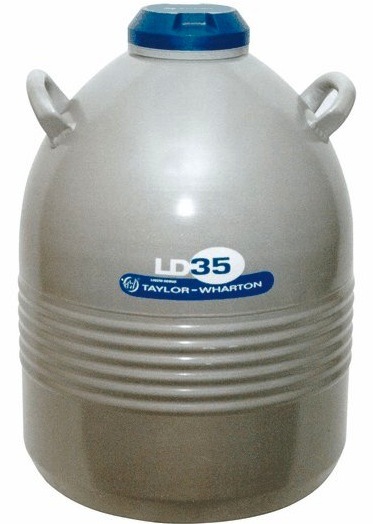 Very similar to the 25 LD in design and features, this model is for those who need a little more volume of liquid nitrogen than the others provide. This is for heavy users of liquid nitrogen. Perfect for dermatologists and culinary professionals alike who use high volumes of LN2. Need a Withdrawal Device, Dipper, Roller Base or Safety Equipment?